Pelletier’s fascination with the colorful building blocks didn’t end at adolescence. He continued to amass Lego sets well into adulthood. By the time his collection reached a quarter million pieces, he realized he’d outgrown his old house and needed a place with more square footage. Pelletier and his husband, Christopher Pasco, settled on a battered 1902 Seattle foursquare, drawn by its grand appointments but modest proportions, and its convenient Capitol Hill location. In renovating the home, Pelletier aimed to preserve the structure’s bones but make it more suitable for contemporary living. “You get the benefits of both,” he says. “You get the floor plan of a modern house, but you get the feel of an older home.” And, in this case, you also get a color palette as exuberant as, well, a stack of Legos. Very very well done! Love lego and love how well appointed this home is!!! I love that not every room is a bright color, they break it up with a gray dining room, all white kitchen, dark bedroom. Beautifully done. Each room was better than the last. I wouldn't change a thing. To me, this is perfection! I so love this house ! Everything is to my taste. Colors are fabulous. Ready to move in anytime ! Bravo for a beautiful transformation ! Absolutely love! Well planned and beautiful! It's so refreshing to see the fun colours, and I am glad they kept that opening to the dining room with the columns, it really adds character. I don't want to come across as a nitpicking ninny, but I am quite sure the plural of Lego is 'Lego', not 'Legos'... But I suppose that hardly matters. It's easy to slide past the words and just stare at the lovely pictures. I was not too sure if I was going to like the thought of a house with lego as an inspiration of sorts. Nevertheless, its lovely, not too much colour and fabulous use of space. Nicely done ... and the only "over the top" bits are the wall colors. I doubt this house had any crown molding. I've seen many houses of this vintage that had the original plaster still intact, and no traces of any molding to be found. The kitchen...the dog crate...the bedrooms...the bathroom...the HOUSE! Crazy beautiful!!!!! OMGosh!!!! Wow. They put so much work into this house and it looks great. I loved the kitchen, bathroom and basement especially. The bright colors aren't for me, but they add a lot of personality. Well done! Exuberant, joyous - what a beautiful transformation! Really a nice house. Only one question, do the books on the open shelves above the stove get "grease" from cooking? Love, love, LOVE this house! What a nice piece of domestic art! The detailing, shelving, storage, master suite, and all other changes are well thought out and very pleasantly harmonious. WOW I love it, nearly every room went into one of my ideabooks, magnificent and so inspirational. When do I move in? No seriously, the color is light, bright, and spacious. The transformation is fantastic! Thanks everyone for the great comments! To answer the question about the cookbooks getting greasy, they are spared because the hood catches everything. The plates on the open shelves nearest to the stove can get a bit dirty from time to time but it is manageable as those dishes are used frequently. This transformation thrills me! What an amazing vision to see brought to life. The word Lego comes from the Danish phrase "leg godt" which means "play well". All I can say to this beautiful place: well played! I'm sure the architect and parents can't wait until the little one is able to assemble the little plastic wonders himself. I love this house, and the touch of Mid-Century Modern furniture works very nicely. My only quibble might be the exterior color. I like it in and of itself, but I don't see it as complementary to all foliage, and as a devoted gardener and plant collector, I would feel limited in what I could use. The right plants would look stunning, however. such as cotinus Grace. I love it when Houzz includes additional photos! This house is gorgeous. I love how they used these whimsical colors and still the house remains so sophisticated. This house would put a smile on my face every time I walked into it, were it mine. Love this house, except for that cage for the dog. Something about it looked abit brutal. Crazy good transformation! Stunning complementary colors used throughout. Simple elegance with youthful, yet classic, lines. 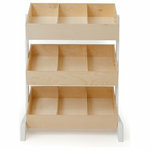 Excellent storage solutions: like the wall of storage bins! I wish ya'll lived next door to me! Sheila Schmitz, after doing a Google search, I've learned that we are supposed to say "I am going to play with my Lego blocks" instead of "I am going to play with my Legos." Who knew?! So inspiring! Finally a building professional who gets it right in every space. A wonderful respect of the home's original architecture with great furnishings and design added to bring the home to the owner's best use. Love, love, love your project. As a mechanical engineer turned drapery workroom professional with a daughter studying Architecture, I can appreciate every element that was taken care of. Another side note, just read that about our King Charles Cavaliers. Good taste all around, shouldn't surprise anyone. I love the colors and the white trim! So many people are afraid to do bright colors like this and it makes the house so fun! what a beautiful home!!! Thanks for sharing. Just AWESOME!!! I'm ready to move right in! Gorgeous colors, and I loved the many marvelous decorating features! One more comment -- I just noticed the ladder in the kitchen. That's really practical and clever, but does it ever get in the way?? Certainly eliminates the need for a step stool. What an incredible transformation. I always enjoy it when there are "before" photos. I found myself going back and forth between the "befores" and "afters" (including at least 20 times with the basement photos alone... holy moly!). What vision! I can't even imagine what is involved with digging out a basement to add 2.5 feet to the height, but the result is stunning. The kitchen was another favorite. It seemed really special without seeming gigantic and showy and ridiculous. This whole thing was just a treat to look at. Thank you for sharing. 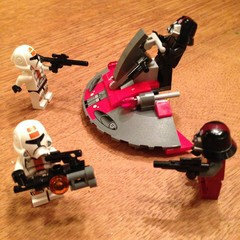 Oh, and I hope Kellen and his eventual buddies enjoy Legos. What a lucky little boy. I am just filled with admiration at how meticulous the contractor's work is in realizing the architect's design. I love the way the bar in the Lego lounge becomes one of the stair treads. Look at the way that the floating shelves in the kitchen line up with the cabinets, not to mention how cool the lights are underneath those shelves. Great vision and great execution. As an adult Lego collector and a fan of modern design, this is my dream house. I'm dying. Magnificent! Love seeing colour. IT instantly gives personality to a home. As for the Lego den, wow, There are many of all ages who would envy that. I relaxed and enjoyed the ride after the first BEFORE picture didn't reveal a ruinous gutting, but added crown and color. The whole interior is very much to my liking. I don't understand how I've seen everything in the basement before (like what I think is glass tile backsplash and cork floor in the bedroom) and at the same time find it amazing. The bar and storage wall are outstanding. Nice. Ditto to everything above. Did I spy a little patio outside the guest room in the basement too? If so, nice touch. We don't have basements in Australia... except for the odd wine cellar, so I'm always interested in seeing what you guys do with the space. One of the loveliest makeovers I've seen. This guy really knows how to incorporate built-ins throughout the home, giving loads of storage and cosy places to sit. I absolutely love the timber used in the bathroom cabinets - haven't seen that before… I love everything about it, except maybe cutting the windows in half beside the fireplace. And I don't like dog crates at the best of times, but these are tiny things in an overall great reno. Well done! So beautiful, the remodel. This is three blocks from my front door, too, so I was able to watch the exterior transformation process. Also, amazing that there was a time capsule. Inspires me to do that for our house. I also love this home, the colours and the general layout but am alarmed at the dog 'crates' - unless they also have an external 'doggy' door? - I cannot understand how they they afford anywhere near enough space for your pets?! I also agree that the windows being apparently cut off in the living room seem strange. There isn't a single room in this house that I didn't love. And man is it clean! Great job! I'm in love with this house. Beautiful job. I'm not sure about the library ladder in the kitchen, though. I cook a lot, and I would be either moving it around constantly to get into cabinets or tripping over it. But the built-in dog crates are FANTASTIC. 'THIS'------------------------- is a REMODEL. Well done. Wow! Amazing! Beautiful! Incredible! Brilliant! So crisp and bold! I love every room, down to every last detail it's perfectly done. Is there any reason there are not window coverings at all? Absolutely beautiful! I usually like softer colours but this one is bright done right. Perfect. Bravo!!! I love every aspect of this home, including the city it lives in. Thank you for sharing. Inspired me on so many levels. I'm not a dog person, but that built-in crate is brilliant! I hate seeing huge crates in rooms that usually include a ratty blanket and smelly toys. Jeffrey and Christopher, your house is fabulous! We are in the process of designing a lake house and I have saved several photos for inspiration. Thank you so much for sharing! Those are beautiful ktichen and basement renovations. Each worth an ideabook of its own. It's a personal taste not a criticism but I felt like those bright colors were competing with each other and beating me over the head. Clearly from the comments I am in the minority. Tell the truth to yourself, readers. If your next door neighbor painted his house that exterior color, would you be happy about it? Sharing the ladder between the two rooms is a great idea. It looks in the way in the kitchen but I assume it is only there when needed. It adds an interesting touch in the other room. I think the dog crate is brilliant. My dogs have always loved their crates but it is difficult to find an appropriate home for an ugly box. I probably would have had a standard cabinet door made at the same time to convert it to a normal cabinet. Perhaps the owner did. I had to show this house to my my 10 year old son, an avid Lego fan, and future engineer. We both agree the Lego Lounge is the coolest spot in the house. But it's obvious that the rest of the house didn't miss a beat either. Even though bright wall colors are used, none of it is offensive. It all flows so well. Love it! While the colors are entirely too much for my taste, I am in love with the rest of this home. I always love to see older homes restored in terms of thick woodwork and classic proportions. Would have loved to see more "before" photos! Elegant, warm, and serene...what a wonderful transformation. The exterior colors pop, but seem totally right in the setting. Well done. 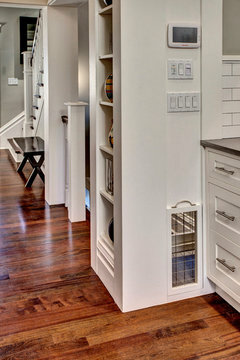 love all the storage spaces and built ins. Love the use of color and space in this home. The built in dog crate with drain is nothing short of GENIOUS! Well done. I bet the neighbors cringe over that horrid bright green house! What a waste of a beautiful old house. Yuck! One of my favorite houses featured. I didn't think this was my personal style, but inspired by so many ideas! Love it!! Any chance I can find out where the chandelier in the entryway came from? The dog crate turned me off to. Maybe if it was open on the side also. Can't imagine a dog would even voluntarily go in there. Other than that a nice job. Beautifully done! So many special and unique touches! Obviously a house filled with love, thank you for sharing! Love it!!! All of it!!!! Who is the manufacturer of the shower tile and vanity? Some dogs like crates, it makes them feel secure. Love, love love this house. And if my neighbor painted his house that color I would love that. Better yet if my house were painted that color, but it's brick. Amazing job on the house! I was very impressed with that gorgeous basement. It's incredible! I kept seeing dollar signs in my head as I viewed this home. It must have been an extremely expensive remodel. I thought the owners must have really wanted to live in this particular area. 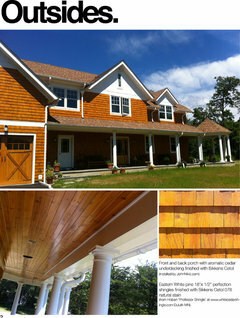 Then I saw the comment about it being close to a commercial area and thus, the choice of paint color for the exterior. I can't imagine putting that much money into a home close to a commercial area. I was also surprised that the front yard did not get new landscaping. I did get some great ideas from the interior and it was a fun project to view. I've seen this house from the outside......not so much to my taste, but it works in the eclectic neighborhood. Now, the INSIDE is great and avoids the subdued formulaic often seen in Seattle. I love the sliders to the deck. What's the sourcing for those? I say, Amen! to the colors. I've used much stronger color here - raspberry! and Tiffany blue than I ever would have considered at first my place in Venice Beach, California. we bought a 1903 century home in Collingwood Ontario and want to inject a modern feel with pops of colour. these photos are a perfect jumping off point for us. thanks for the inspiration!! Since he dug out more room in the basement, and Seattle is pretty wet - did you have to do anything special (sump pumps, french drain? etc) to keep the basement dry and mold free? nicely designed house but i don't like how they used Legos in the title for this article as if it was going to be really a factor in the design applications....rather misleading. The interior of the house is stunning. Love all the color. The exterior...not so much. That last picture totally threw me. Wow! I just loved this! Loved the bright green behind the white shelves, the dark grey with bright white trim and the coral-red color in the next room. The white trim really set off the color and pulled it all together. I'd love to do that with my house. Nice to se an architecturally designed remodel that isn't all white. Love the colors. Excellent article! Thank you for taking the time to incorporate names of paint colors and where furniture was purchased. I love ALL the changes, colors, and the dynamic space you created! When I saw this was a house built for Lego I knew I had to see it. My boys love Lego and have a huge walk in closet just for their Lego. This house is AMAZING! I love everything in it and wouldn't change a thing. What a talent Mr. Pelletier has! Enjoy your home. First thing I noticed--and loved--is the fact that none of the windows in the house are curtained. A lot of foo-foo fabric swathing the windows would ruin the clean look and diminish the beautiful contrast between the wall colors and the white trim. Fantastic in every way EXCEPT what were you thinking on the exterior colors? You just had to paint the front door a color. Driving by, people are taking pictures for the wrong reasons. This house is beautiful and inspiring. As a mom of three lego-loving boys, I am blown away by the "Lego Lounge"! Brilliant idea! Amazing! I'm very curious to know how much it cost -- but whatever it is, it was worth it! Love this house; loved all the photos. I admit my husband also questioned why the windows were cut off in the living room, so I studied it & concluded: brilliant! After adding into the equation that (a) other homes are close by (as you can see through the windows), and (b) the house is in often-chilly Seattle. Because adding the bookshelves/millwork around the room helps the feeling of privacy & coziness, and also cuts off drafts, while still allowing a fair amount of light! (There are still four windows in the room, plus light spilling in from other spaces in the house's open floor plan.) And I love the green paint; not a color I'd have picked out on my own from a can, but I love it on those walls. Also, those who question the dog crate: the dog(s) would not stay there all day. Presumably the owners leave the crate doors open for the dog(s) to come & go. As someone else posted, many dogs want a confined place to call their own, it apparently gives them a feeling of peace, and that is why so many people, out of love, provide a crate for their dog. Many dogs are also fine with being locked in their crate for a few hours, if for some reason the owners need to leave the house and confine them while they are gone. These are pretty standard dog-owning practices. What an interesting whole house treat. Thanks for taking so many photos. Board and Vellum is certainly a creative beehive of ideas - pet features were very clever.. You have changed to course of our kitchen remodel. The makeover is FANTASTIC!!!!! I love this house!!!!!! What a beautiful home you have! I thoroughly enjoyed seeing what was around the next corner. Your use of the bright colours was so refreshing and just the right amount. The basement transformation was so amazing. I love how you combined your Lego collection with an architectural feature. So wonderful! hands down the most BEAUTIFUL house you have ever featured. Beautiful! Love the mix of the bright colors in some rooms and the neutral grays in others. The crown molding and the built-ins really stand out. The kitchen and the basement-just Gorgeous!! I know you wanted a more commercial look like a home in San Francisco, but I am not so sure about those colors. I don't mean to be critical but maybe the landscaping is what is throwing me off. I think the landscaping needs an updating. I apologize if it was redone but I think better landscaping would totally make the exterior colors work. I laughed/cried that time capsules from 1980 are already interesting. I still have sweaters I bought that year. I love the fact that the original design style (wainscoting and crown molding) was kept (or added again :) ) while it was "modernized" with sensational colors. Too often are stunningly gorgeous homes like this modernized into blank wall boxes, left with no character or interest. Talk about a fabulous remodel on this one though! This house is an inspiration! Congratulations on your beautiful home! Also I couldn't help but drool over that basement!! Look at all the space to drink and play with Legos!! Super jealous! I don't live in Seattle, but I assume the front landscaping is purposeful--native plants and no grass. I'm in love. Always been a fan of heavy white moldings and shelving with bright colors. Wish I had that eye. Who says we have to put away our toys/interests just because we hit a certain age? That's me sticking my tongue out. What a pretty house you've both created with LOVE. Kellan is a lucky little boy. Now that he's got his pins under him take him to pick out a Duplo Lego kit. My grandson and I have fun playing with all of his Duplo Lego toys and when he goes home? I use them to decorate his room. Best wishes to you all. Beautiful transformation. Integrates modern style, 50s look and the era when the house was built. However, they must have buckets of money to pull that one off. OMG! That basement storage is to die for! Love what you have done! The dog crate was a great idea. I have cubbies under my built in window benches (although there are no crate doors) for my shelties. They go in whenever there are too many people in the house as they feel safe there. Also, if they are misbehaving, they are sent there for a time out. Even without the door, they don't come out till I tell them they can. Stunning! Love the crispness, the style and comfort! A counter with so many drawers. And faucets there to see. It has all been said before. Amazing home and extraordinary remodel. Now all you have to do is put the same level of creativity into the landscape which can also be just as imaginative as the interior. In the present condition is looks very much like the basement before you completed your brilliant transformation. If you can do the same level of imaginative landscape transformation, the whole package will benefit. As an avid Lego fan I was excited to see such a beautiful transformation. I have lived in Seattle twice, once in Kirkland & Magnolia. Capital Hill is a historical neighborhood with plenty of charm, upscale homes & has excellent resale value. My nephew has over a 1000 Lego sets & I need a VIP Lego Lounge, what an inventive solution! The exterior colors pay true homage to Lego Brick colors, I think that would look good in Capital Hill. Thanks for the inspiration! Love, love, love this house and so does my 12 year old son, also named Kellen, whose Lego collection is very close to yours. With the passion to build I am also encouraging him to become an architec. The built ins are incredible and would be perfect for our basement! Must show my husband. I agree with Jimmjam. The house is beautiful. I love the paint colors and the decorating, but the built in cage really bothers me. I have had dogs all of my life, from 20 pounds to 200 pounds and have never kept them in cages. People refer to them as crates to make themselves feel better, but if they were put in one, they would know it is definitely a cage. Hurrah for color. Love it. BTW some dogs don't mind a cage. Had one dog afraid of storms--I mean out of her mind terrified--and finally put her in a cage and she immediately calmed down. Depends how they're used and how long they have to be in it. Like their wolf ancestors some don't mind having their own den to retreat to. I love this remodel so much! It is absolutely perfect! Also, I love the interior and exterior colors. What creativity!! I'm in the process of a 2890sq ft condo gut renovation and I know how much thought, time and effort went into this project! Every corner was accounted for and completed to the max! Just amazing and most important it's a warm home you can enjoy living in!!! This is a beautiful home!! 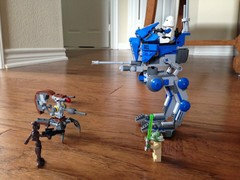 I have two lego builders age 8 and 9. They have all City Legos and the Creator sets, over 100 boxes and I am sure will have many more to come. The 9 year old can easily put together the "age 16" sets. I can only hope that someday they can remodel my home to look like this! I love the colors. My boys loved the Lego room when I showed them this. The saturated colors are crazy-wild and fun and work perfectly with each other. Just a really sharp-looking home! W/D near where the clothes are should be manditory! Whoever figured they needed to be installed in the basement apparently never did any laundry. This is much more practical. I've had the notion to add a small dryer in our bathroom to toss towels and bathmats after use to prevent mildew (I live in the rainforest). 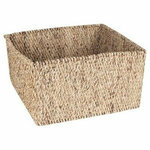 Or use it to heat up towels and bath mats prior to use because it would feel so good to dry off with a hot towel. Love this home, and all the introductions to color. The light fixtures they have chosen match the rooms so well. Thank you for sharing your colorful, happy home. My grandparents lived in a similar (larger I think) house on Queen Anne Hill. Looking at your pictures took me back to my childhood -- we loved to explore the rooms in that big (c)old house. I've always wondered if they tore it down (what a tragedy if so). Loved the tour of your Legos inspired transition. Nice remodel. However, they must hate their neighbors...that exterior color is horrible. wow, I thought I was moving into the house in Montana you highlighted recently...guess I was wrong, I am moving to Seattle. Loved EVERYTHING except the exterior color. I love the balance of colors in this home. The gray dining room is such a nice touch to give the eye a moment's rest between exuberance. I also appreciate all the details that give this home so much character. I love this house!!! The color choices are beautiful! -The "cut off" windows in the Family Room are because there is a garage 2' from the exterior wall. The previous window was a large double hung and you had a big view of a garage roof. Bringing the windows up allowed for one horizontal wainscot line around the room and windows with just a view of sky and not neighboring buildings. -The front yard is a disaster and that project will be phase 2 once we figure out how to pay for it! It is already designed just waiting for the opportunity. 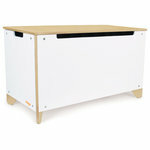 -The dog crate is open to 2 sides with one side always open so the dogs can come and go as they please. They choose to spend the majority of their time in there as they feel protected and yet have a vantage point on most of the main floor (you can see the other door on the Kitchen side in the image in the main photo folder on Houzz. -The majority of windows have honeycomb blinds. We do have plans for simple vertical drapes in the Dining Room but haven't had time to hang them (something about having a one year old son does that! -The exterior colors are nuts and we freely admit that they're not everyone's tastes. The neighboring homes (look at the house to the left of us) are all bold colors and this particular block has a bunch of bright colors. We have a gray picked out that we can replace the magenta with if we ever want it slightly toned down but for now we love it. Houses should be everything to some people, not something to everyone! Thanks again! I'll try and post responses to the questions in the individual photos. yummy house! I love it! i love the color but must have missed the lego connection (outside of the owner have trillions of lego pieces). fantastic job regardless!! I think the white trim is excessive I would have loved to see some of the beautiful natural wood in this character home restored .....That being said the quality of the Reno is outstanding . This is my most favorite house in Houzz. I've been looking at houses on Houzz for 4 years! Loved the transformation, especially the basement...what a great useoIf what was once wasted space. The final touch would be some beautiful landscaping as the existing bushes detract from all the work done to the exterior of the house. Does this house have a backyard? Is this a joke? This is the last thing i would expect to see in a so called "home built for legos". Looks like the owner's job is to be a painter, that's all. If you really like legos, then make a real lego fan home. Love everything that has been done here. Vibrant colors very well done---they're bright but not garish! And the basement transformation is astounding! This house just brings me joy on so many levels. The detail in every room, the beautiful woodwork, the choice of color, choice of furniture, you haven't missed a beat! I am an organizational freak, so the basement was the ultimate for me and of course being a kid in the 70's I am a lego nut! Beautifully done, you deserve to be very "house proud!" I wonder if the author could take a street picture showing a better shot of the colour of the house next door with his house? Not enough to invade the privacy of the neighbor, but just a bit more of the colour and trim on that house. Perfection from top to bottom! Must be fun to live there. I was just curious as to what type of storage bin you used for the Lego bricks in teh basement? Just beautiful, great attention to detail from top to bottom, love your choice of colors - thank you for sharing. Brilliant! Nicely done! As the mom of a 10-year-old LEGOs aficianado, I appreciate the storage of the pieces in the LEGO Lounge. Are the bold colors reminiscent of Lego as well? I love this! Thank you for sharing. You have inspired me to go to the paint store. This is my favorite Houzz post of all time. This is the first Houzz coverage I've ever seen where I LOVE every single room. Fabulous! This is a wonderful remodel. The amazing part of this home is that the owners didn't shun its age. They embraced it and enhanced the home rather than changing it. I love the color, especially in the gray of a city. Spectacular! I enjoyed every room! 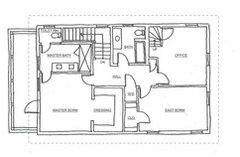 Question, in the office in the upper floor plan, is that a set of stairs behind a door? If so, where do they lead? If not, could you explain? Thanks! Lovely home!! I absolutely love this house! The colors make me smile. tjguerin, after looking at the exterior photos of the house, I would guess the stairs from the office lead to the attic. Like I said, just a guess. I loved the article. What a fun project with beautiful results. I adore this house and (most of) the colors. What a perfect remodel. I hope there's space for some Duplo sets for the one-year-old! Um...when can I move in?! Love it! I love all their colors. great energy. Most dogs like a small space in which they feel secure, that they can retreat to and feel that no one will disturb them there. The crate works well unless it's used as punishment and that doesn't appear to be the case here. Also, if anyone is interested, there is a fantastic photographer on www.redbubble.com who recreates famous historical and movie scenes with Lego characters. I bought my nephew some Star Wars Lego recreation prints from this artist. They're great for a kids room but something they'll be able to keep forever. You can just type in "Lego"on the site search to find his work. Sorry - I can't remember his name! Absolutely beautiful and brilliant. Come to Brooklyn and work your magic! Kellen, Helo, and Athena, are lucky to have two amazing Dads! So say we all! fascinating (and encouraging) so many strongly positive comments about the colors, although not many comments about the exterior. as a former Capitol Hill resident (and probably quite close to this example) I wouldn't have been excited to see this exterior show up nearby. times change….. maybe not always for the better. Near perfection. As an architect I'd hire them to do my house--I couldn't do better. Only thing I'd change: exterior color treatment. But then--it isn't my house! Kudos and much respect. My daughter is an architect who was inspired by Leggo! She and her roommate, also an architect,collect the Leggo architect series!! they took a classy home, added beautiful trim and jewel colors and made it a crowning achievement. Sounds corny but what a beautiful job, all the way through. Very, very nice. Congratulations, you have created a beautiful living space for your family which has incorporated your love of lego. I have also created a "Lego Lounge" for my 11 year old son who has been collecting Lego since the age of 1. Unfortunately the Lego still seems to find its way into our living spaces, dining table & bedroom! This home is a magnificent example of 'wow factor' colour. The lime exterior is zesty, fun and I imagine completely invigorating after a long tiring day. I would love to see and appreciate some colour injected into my neighbourhood. I just LOVE it! Want to come to Chapel Hill, NC and do my house!??? Please!!?? Each room is painted a different color; wall of shelving. love, love, love this amazing space! Thank you for sharing! SOME PEOPLE ARE JUST SOOOOOO DANG TALENTED! If only I had a "real career," I could afford to be one of your grateful clients! Unfortunately, when I was a kid I was enthralled with nail polish, and while I probably earn more as a manicurist in Silicon Valley, than a teacher in say...Ohio, I can only dream. Unless, of course, you have a single brother who is also a very gifted architect! Ps: your kid's gonna be the happiest , most popular, (and undoubtedly artistic) boy in school! Can u just imagine the looks on his friend's faces when he opens the door?! Your gonna make HIM proud! There was absolutely nothing that I didn't like about this house. Designers need to take note how many of us really like good design and are sick of wasted space & poor usability in our current homes. Beautiful work. I love the way you have managed to give each room such character and yet have still been able to make the rooms flow off each other and keep the house coherent. The house was amazing.. My only question is why did you not landscape the front of the house before you published pictures? It makes the front of the house and yard look run down. Beautiful! I am wondering if the ceiling was painted with same color white as all the trim (icing by Devine). I know this is a popular color with more modern homes and I am excited to see that it looks good trim work of an older home. I live close by in Madrona and plan to use this color on our kitchen remodel. Thank you for the inspiration! I am a gardener and a palate of lime green plants mixed with darker colors such as black mondo grass would be the perfect addition to the front yard. This is real design. It is not a mish-mash of crap thrown together for "conversation pieces." I want to copy and paste this feel into my current home! Absolutely stunning. The color on the walls, to the incredible furniture appointed throughout. Love the house redo. Some of the furniture seems a little too stiff for me. One plush chair or sofa would be nice. As a nit picking retired architect I for once find myself lacking anything to criticize. Such a thoughtful renovation. The overwhelmingly positive comments here for this project are telling. I have NEVER seen so few nay sayers before. Oh, and the article is good too. I do so appreciate when plans are included. When I first read the title of the article, I thought "Oh no, it sounds like they're going to have Legos all over the house, Legos in every room". Being curious, I started reading. By the time I got to the basement pictures, I was beginning to wonder "So, where are the Legos?" (Most people say "Legos" , so just accept it.) The wall of Lego storage drawers is splendid! What a wonderful space they made to accommodate the Legos, and NOT have them all over the house! I'd love to have a wall of drawers like that for my hobby and craft things! As for the rest of the house: I love that they brought back or added some of the architectural elements that it once had, or needed, such as the crown moldings! They did a beautiful job with the rebuilt fireplace.. The reworked floor plans are intelligent, logical, functional and beautiful on every floor, and they accomplished this without making any alterations to the original shell of the house, truly ingenious work. I noticed that there were no curtains or draperies anywhere, and wondered about privacy issues, but did notice rolled up shades on some of the windows. I don't think adding subtle window coverings would detract from the overall look of the rooms. The colors are a little bold for my taste, but you can always repaint. I like the white trim, and in this case I don't think stripping them down to the original wood would be as effective in this house; if I were decorating this house in a more traditional way, I might want the original wood, but the white works better here. The kitchen is to die for, and I'd love to use some of these ideas in my kitchen, if it were large enough. I love the rolling ladder, and it probably rolls easily out of the way and isn't much of a bother. I'd even have one in each room, rather than move it. The front landscaping is a letdown after viewing the house, and I'm glad to hear that there are plans to improve it. The exterior colors are not my cup of tea, but it's not my house, or my neighbor's. I would change the green, myself. As others have said, it is not cruel to provide crates, cubbies, whatever you want to call them, for the dogs, if they are the kind that like to have a little den of their own, and having them built-in and out of the way is wonderful! All together, it's a beautifully renovated house, with dozens of clever, practical ideas! I wish I could afford to do even half as much with my house. Since my house is on a slab, I'm at a horrible disadvantage. I don't think it's possible to put a basement under this house, or it would cost a fortune if you could. Still, there are many ideas here I can use, and I'm glad I read the whole article! To Dorienpierre and others, yes, dogs like an intimate space but not one they are effectively locked in. The dog crate idea maybe standard practice in the US but certainly not in Australia. Very well done! The colors for the whole project are of great taste! It's my dream home! If you ever need a house-sitter, i can happily drive down from Vancouver. :) Have a great day! Don't like Lego and loved the house! Fab! I only wish I had the courage to work with so much color. Even though we recommend 'neutralizing' for sale (realtors), the homes with bold colors sell very well - if done perfectly which this appears to be. It is refreshing that the front yard is the last project as most people address/buy based not he curb appeal/ego facade. (But do that first if you intend to sell!) One weekend project could, however, be to power wash and paint/stain the back fence - Cabots has a host of colors and is extremely durable. No doubt a replacement is slated which is why this is not yet done by these perfectionists. Loads of fun - thanks for sharing! I think that it says it all. This is probably the post that got the biggest volume of positive comments and for a good reason: It is a fantastic makeover!! Congratulations. Great use of wood in every room and with the furniture. Re the title of this piece: Isn't the plural of "Lego," "Lego?" I love everything about it! What a wonderful way to update an older home while keeping its basic style! I love basements! And this one rocks! Could you tell me the color of the foyer and magenta Dutch door? Thanks! An amazing transformation- well done! And a special note to Houzz- I really appreciate it when floor plans are included so I can see how it all fits together in my head! I feel like I know this house now! Janetyson: It's Benjamin Moore's Blushing Red. 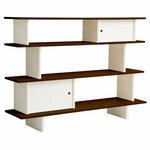 Where can I buy those floor-to-ceiling bookcases? Not my personal style, but I absolutely love how well appointed this house is and how it flows beautifully from room to room. Lego storage never looked so great! What is not to love! Refreshing to see color and not everything done in "50 shades of gray"
Nice house! Check out my colors too! Great project. Looking at the second floor plan, we thought about how to give the office and east bedroom more space. In this scheme, the master bedroom is larger and you don't have to enter it through the dressing room. This layout also maintains views out the front of the house and allows for a dresser and TV to be placed across from the bed wall in the master bedroom. The east bedroom is larger with a slightly larger closet as well. The office is also a little larger. Love this house! Fantastic work. Isn't anyone else tired of white tiled kitchens? Cold and boring. Loved the layout and storage. Nicely done. Gorgeous! I love this so much. Thanks for listing the paint colors. PS: I'm so envious of the Lego room. Beautiful job! I especially appreciate the talented use of bold color in a traditional home. Always a fear of mine. No more!! Great project, great article. Fred, congrats on the new position with Houzz! Lisa told me a couple of weeks ago and now I noticed you here. WONDERFUL! I'm so excited to read more from you through Houzz. I'll reach out next time I'm in the Bay Area to visit my showroom at the SF Design Center (Johanna Spilman). It would be great to catch up! Thanks again for a wonderful feature. Great house, fun colors, fun textures throughout. Love the wainscoting as well. Congrats. The house is amazing, of course. But the dog crate treatment left me speechless !!! What a fabulous, fresh, creative, unique and beautiful solution ! Dog lovers world wide....stand up and applaud. I usually dislike colors on walls, but this house is work of art! Can I move in please? Just a BEAUTIFUL Home and the Most FANTASTIC Use of Color I've EVER Seen!! I'd Love to come home here Everyday!! Thank You for sharing your home with Us! The decorative trim adds so much class. The use of color, texture, and lighting, Impeccable!! I love everything about this house! Really wonderful. Normally I'm not a fan of these kinds of colors, but the way this was done, and the fact that this is Seattle (which needs all the brightening-up it can get), I love this. So cheery and rich! Those Legos being stored in bins in the basement are going to need a lock & key soon. No little kid is going to be able to leave those alone! Lovely home. And what a great way to incorporate something you love into you life like he did! Great use of color! i am in love with this green house, walls colours are great, and what about the basement...wow, well thought in every way! I would stay in their guest room anytime ! Beautiful renovation. I love the use of colour, inspiring great ideas. Once Kellen is old enough to mess up the carefully organized legos on the bottom, an easy solution is to install door fronts over the bottom three or four shelves. Those can be child-proofed and there is still easy access to the legos for adults. This has become my dream house. Wonderful! Love the whole house including the exterior paint job which is just gorgeous (I do love any combination of green and red though, whether it's peppermint and petal pink right through to deep forest green and burgundy). I had never heard anyone use the word "legos" until we went to the USA for two years and I never picked up the habit - in New Zealand it's one piece of lego or lots of lego! I love everything about this house. Each room is pretty near perfection. Lucky homeowners! Wow, so many smart storage details! Love the bold and fun color scheme too. Well done! Such vibrant use of color throughout. I'd love to live in it! Beautiful home. Beautiful without being pretentious. I love the Lego room. I was searching through Houzz for storage ideas for my Lego buildings, and was thrilled to see all of the modular houses in the living room. You've inspired me to do the same thing with mine! I love the medicine cabinets with open shelves below! Holy monkeys this is a gorgeous home! It's fun without being over the top, rich but still looks like a home, not a show place. Fabulous. No wonder this is one of the top 25. It is incredible. Lowering the basement floor was well worth it (friends did something similar with a similar great result). At first I thought the color was too garish, but when I studied the colors of the house next door, this is a genius color progression and the two houses do need to be seen side by side. One thing I would change, though, is just to put a pane of translucent glass in the lower sash of the basement guest bedroom. This would let in light and block the ugly pit view. Great job! Love the green inside. Outside, not so much. Maybe a shade or two darker would have been more charming. Love seeing these transformations but wonder the cost of doing so. Care to share? I totally loved the renovation. The colours used, the mid-century furniture, the artwork, the organizing ideas for the Lego - just well thought out. This is a house I would enjoy living in. My only comment is that the kitchen looked a bit stark white - it would have been nice to use a backsplash tile with a hint of colour rather than the subway tile. I also liked the exterior colours - so exuberant! My congratulations for this excellent renovation. Great idea for shelving incorporated into mirrors over vanity, I never have thought about this idea nor have I ever seen it!! The basement transformation was amazing! Digging down another 2.5 feet must have been an extremely difficult process. But the Lego Lounge was worth it! Well done! Wow, wow, wow and wow. And, I don't usually like color! Absolutely loved & saved some of the ideas in this house to my scrapbooks, but my original intention in looking at this was because I have a friend who is into Lego-building as well & thought I'd send it to her to be envious. But aside from the bookshelves in the family room, there is nary a constructed Lego to be seen. Where are they? (In case this was addressed in the above comments I didn't read them all because there were so many, so "just sayin'") Overall Fantastic! Hi! Awesome house!! Someone knows the song at the beginning of the video? Thanks! Did anyone else think that dog crate looks way too tiny? That poor little dog. I get claustrophobic just thinking about it! Name of caesar stone counters please? Bravo! I love the storage solutions and colors and all around vibe. Wonderful job. Please, I desperately need to know how do you maintain clean (out of dust) your made Lego figures! Wow what a home! Outstanding... love all the color and organization! Great article and video! If you live in Seattle, you better have lots of color! About the lego built in, how deep is it and where did you purchase all the bins? As a LEGO builder totally out of space to build anymore this is so amazing. Thank you for sharing. No labels on all those Lego storage bins? Wow! Oh, and the house is amazing....love it. More pics of that dutch door please!! Love this. My favorite houzz video so far! What a beauty, I already had the bar in my photos but didn’t know the other half of the room was LEGO! out on a towel and put them back in the bin when they dry. Oh yes, I dont mean bricks but the dust on the figures already made of bricks... They fall apart when I try to clean them! Daniela Marino - I build buildings also, and dusting was a problem until I asked someone at a LEGO convention how he dusted his complex castle/battle scene. He said his wife gave him a makeup brush. A large makeup brush from the cosmetics section in any store does a beautiful job of removing dust and not knocking of bits of your build. It's a little more intensive, but so is putting back parts when you use anything else.